People across the UK are unknowingly being put in harm’s way due to dangerous products. 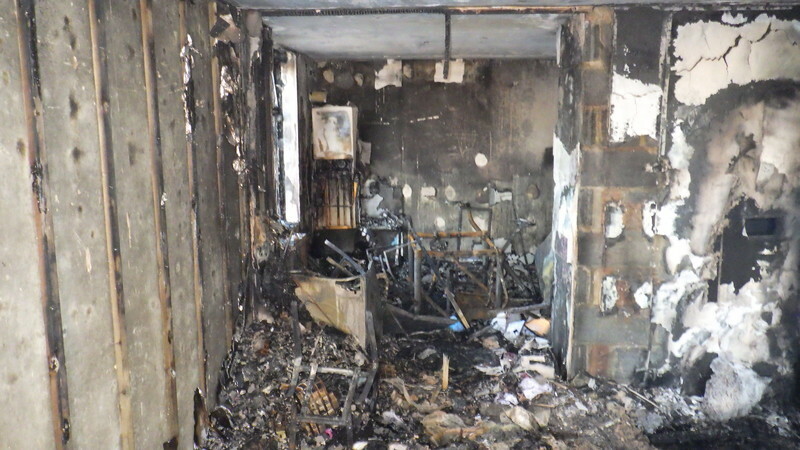 In the very worst cases, lives have been lost in fires spread by faulty tumble dryers or fridge freezers. This is all evidence that Britain’s product safety regime is antiquated and no longer fit for purpose. That’s why we’re calling for fundamental reforms that will stop dangerous products from entering our homes. Which? has a long track record of improving safety standards for UK consumers, and we can do it again with your support. The government to take urgent action to keep unsafe products out of people’s homes. Manufacturers and retailers to remove unsafe products from the market and our homes without delay. We’re also giving the government 90 days to publish an Action Plan for its Office of Product Safety and Standards. Help us secure action by signing our petition. Our research has shown that plastic backing used on some fridge freezers, fridges and freezers could aid the spread of flames in the event of a fire. We, therefore, don’t recommend you buy any models with plastic backing. Use our free model checker to find out whether a fridge freezer, fridge or freezer is a model we’ve identified as a potential fire risk. Our fragmented safety system is putting us all at risk. UK fire stats show over 6,000 house fires were caused by faulty appliances between 2014-16. Faulty washing machines and tumble dryers are more likely to start a fire than any other appliance. Our analysis shows 35% of fires were started by one of these appliances between 2014-16. Only between 10-20% of people will actually return a faulty product when it’s recalled. Recalls alone simply aren’t effective enough to quickly get dangerous products out of your home. Have you suffered from an unsafe product? We need your help to track down safety issues with faulty products. From unsafe tumble dryers and fridge freezers, to hair dryers and microwaves, if you’ve experienced a safety issue with any product you own, please tell us all about it here. Every report we receive will help us track down problem products and manufacturers, so that we can ensure consumers are safe from poor manufacturing and safety practices. Don’t hold on to a faulty product. Under the Consumer Rights Act, all products must be of satisfactory quality, fit for purpose and as described. If that isn’t the case – you can claim a refund, repair or replacement. See our updates as we take steps towards making change happen. A new standard will be introduced from 11 July requiring fridge-freezer backing material to pass tougher flammability tests – a major step forward for our campaign. The new rules will reduce the risk of fridge freezers aiding the spread of flames in the event of a fire. Our campaign has repeatedly demanded manufacturers and retailers stop making plastic-backed fridge-freezers that can accelerate fires and put people’s lives at risk. The new safety standard, while long overdue, will be significant in protecting consumers in the future. But more needs to be done. The new rules don’t come into effect until 11 July, so hundreds of fridge-freezers currently on sale in shops across the UK are potentially unsafe. We’re demanding retailers remove these products from their shelves immediately. By continuing to sell plastic backed fridge-freezers, these firms are putting people and their homes at risk for years to come. If you’re buying a new fridge-freezer before the new rules come into effect, or if you’re concerned about an appliance you already own, use our refrigerator backing checker to make sure it’s not at risk. We found illegal child car seats available to buy on eBay, Amazon and AliExpress. We warned parents over illegal and potentially dangerous child car seats being sold on online marketplaces. We found dangerous car seats, which are made of fabric and offer almost no protection in the event of a car crash, selling for as little as £8 on websites such as eBay, Amazon and AliExpress. Many of the car seats we found for sale online are described in listings as being suitable for young children from newborn up to five years old, but the seats quite clearly lack the kind of support needed to protect young babies and toddlers in the event of a collision. The last time Which? investigated the problem, it contacted eBay who removed the car seats from sale. However, as there are multiple sellers all selling similar types of car seat many more have since sprung up. The danger was highlighted in 2014 after Surrey Trading Standards and manufacturer Britax carried out a crash test which resulted in a fabric seat falling to pieces in a 30mph crash. Alarmingly, the crash test dummy which represented a three-year-old child was flung through the windscreen when the straps securing the seat failed. At the time, Surrey Trading Standards dubbed them ‘killer car seats’ and proceeded to remove dozens of the seats from sale but they have repeatedly re-appeared for sale on online marketplaces ever since. The regulations state that only EU-approved child car seats can be used in the UK. This means that only seats with a clear orange approval label have been put through EU safety testing and therefore can be legally sold on the UK market. The UK e-commerce market is the largest in Europe and more than 30 million people in England and Wales bought at least one item via an online marketplace in 2015 – but this is making it much more difficult for consumers and the authorities to identify and trace rogue traders, and to take enforcement action against them. “Online marketplaces should not be stocking these dangerous car seats that don’t meet UK safety standards. Using one in the car could mean drivers are breaking the law and unwittingly putting a child’s life at risk. We issued a warning to parents after nearly half the popular children’s slimes we tested failed safety standards for toys. We tested 13 toy slimes and putties from a range of high-street and online retailers including Amazon, eBay, Etsy, Argos and Hamleys and over 40% failed EU safety standard for toys (EN 71-3). The EU safety standard specifies that toy slimes must have boron levels that fall below 300mg/kg and toy putties must have boron levels that fall below 1,200mg/kg. Exposure to excessive levels of boron could cause irritation, diarrhoea and vomiting in the short term, and may impair fertility and cause harm to unborn children in pregnant women. ‘Slime will feature in many kids’ letters to Santa this Christmas, however we’ve found more worrying evidence that children could be put at risk by these toys. ‘Parents should have confidence that the products that they buy for their children will be safe, but our latest investigation has uncovered harmful products being sold even by big retailers. Read our full news story. We warned parents to be vigilant with Halloween costumes around flames, after our research revealed some did not meet the requirements of the British safety standard. We tested 20 kids’ Halloween fancy dress outfits which are being stocked by online and high street shops and supermarkets including Sainsbury’s, eBay and Amazon. Two of the outfits in our tests did not meet the requirements of the British safety standard (BS EN 71-2). These were a Maleficent costume, which we bought from eBay but is made by Spanish company Fiestas Guirca, and a werewolf costume from B&M. We warned parents not to buy children’s stair gates that demonstrated serious safety failures in our testing. 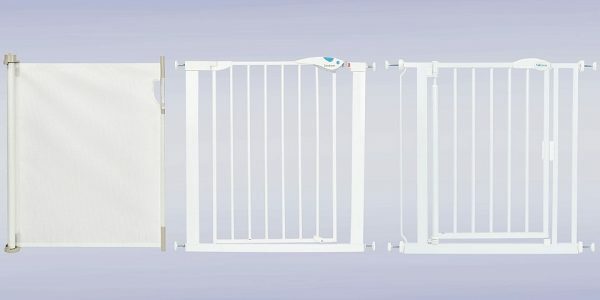 Samples of the Dreambaby Retractable Gate, Lindam Easy Fit Plus Deluxe Safety Gate and Safetots Self-closing gate (when fitted with adhesive pads) all failed to meet the criteria for the fatigue test. This test forms part of the EU safety standard (BS EN 1930:2011 part 6.11.2) for safety barriers. Because of these failures, we made all three of these stair gates Don’t Buys with a 0% test score. Due to the severity of the failures for the Dreambaby gate, we called for the manufacturer to withdraw it from sale immediately, and issue a recall for any that have been sold. We recommended owners of these gates stop using them immediately. We would also advised that if parents own the Safetots Self-Closing gate fitted with adhesive pads, or the Lindam Easy Fit Plus Deluxe gate, they should stop using it immediately until a fix can be found for the problems that are causing the gates to fail. We reported all our findings to Trading Standards and the Office for Product Safety and Standards (OPSS). We launched our product safety hub, bringing together our expert knowledge, advice and product safety tools into one place. The new site brings together our tools for checking if your home products are safe, our safety alerts and our consumer rights advice. Take me to the product safety hub. Despite confirming a possibly fatal seat belt fault in May this year, Volkswagen and Seat continue to sell thousands of affected cars – without a permanent fix in place. 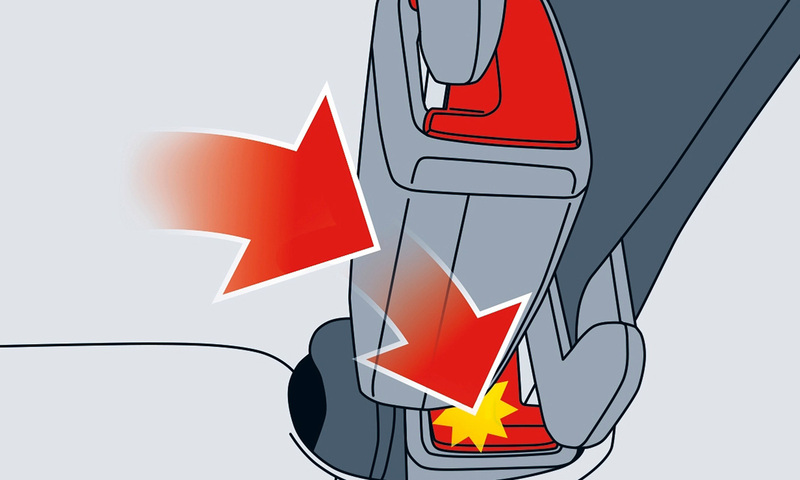 Earlier this year, independent tests by Finnish magazine Tekniikan Maailma found that when all three rear seat belts are in use and an affected car is driven at speed, the back-left seat belt could come undone, leaving a passenger in that position unsecured. After confirming the seat belt fault, the Volkswagen Group recalled around 12,000 new VW Polos and thousands more new Seat Ibizas and Seat Aronas. Despite the recall, we’ve discovered that affected cars continue to be sold in large numbers with the same fault. The number of cars affected in the UK has increased to 35,263 VW Polos and 28,639 Seats (Ibiza and Arona combined). The Office of Product Safety and Standards (OPSS) has just published its new strategy, which aims to streamline the process of identifying and dealing with potentially dangerous products. We wrote to government ministers back in February demanding a detailed action plan for the newly-formed OPSS. The OPSS will assess the severity of safety incidents and whether or not those cases should be dealt with by the government group or require a multi-agency response. This is a big win for our campaign, as the OPSS delivers on our call for an action plan and looks to address our concerns around capacity, capability, surveillance and enforcement. But we still have concerns over whether this will be implemented effectively to get unsafe products out of people’s homes. ‘This long-awaited strategy attempts to address key problems in the current safety system. However, it falls short of providing reassurance that it will effectively investigate serious safety issues that are raised about unsafe products, and then actively work to remove them from people’s homes before they cause harm. Read more details about the product safety report. Customers affected by fire-risk tumble driers are being given “inadequate, inconsistent and potentially dangerous advice” by retailers and Whirlpool, our investigation has uncovered. 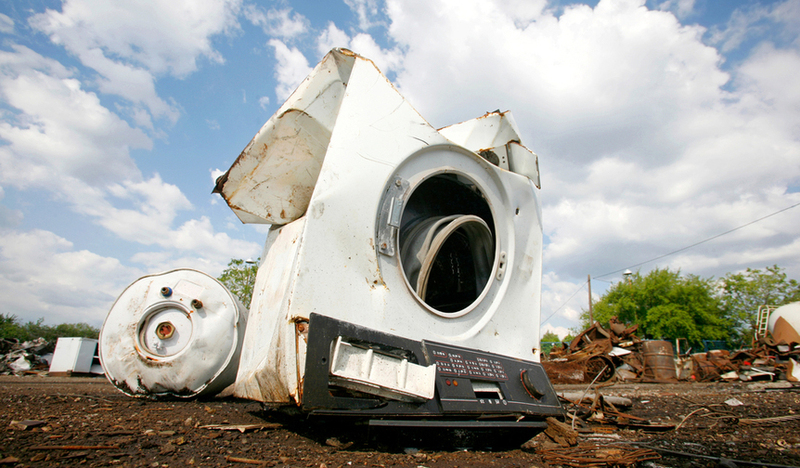 We’re demanding a full product recall of the affected tumble dryers. Whirlpool and retailers are failing to give correct safety information to customers affected by fire-risk tumble dryers, we’ve revealed. Our undercover investigation found that customer service staff from Whirlpool and retailers AO.com, Argos, Co-op Electricals, Currys PC World, John Lewis and Very/Littlewoods were not giving the full and appropriate safety advice when contacted about tumble dryer models subject to a safety notice. We made 12 calls to each of the customer service departments of the six retailers to ask for advice about burning smells coming from either a Hotpoint or Indesit model. Despite there being a known fire risk attached to these models of tumble dryer, the customer service representatives gave “inadequate, inconsistent and potentially dangerous advice”. Not one call resulted in what we would consider to be an acceptable response to a serious safety issue. We’re calling on the Office for Product Safety and Standards to take immediate action against Whirlpool and is demanding a full product recall of the affected tumble dryers, both modified and unmodified. Our latest investigation has found that more than 500 of the most popular refrigeration appliances on the market is made of unsafe plastic that poses a potential fire risk. We found that plastic backing material could be a fire risk in people’s homes due to the potential to accelerate the spread of flames in the event of a fire starting. We’ve therefore labelled 250 models as ‘Don’t Buys’ and don’t recommend that consumers buy these plastic-backed refrigeration appliances. ‘People will rightly be outraged to learn that manufacturers and retailers are selling potentially unsafe products that could be putting their lives at risk. Whirlpool, the owner of the KitchenAid brand, has issued a safety recall on KitchenAid electric kettles. The manufacturer has confirmed that 23,138 UK models are affected. A problem with the handle on the KitchenAid 1.7L electric kettle, model number 5KEK1722, means it could fall off and pose a burn risk. ‘Consumers in the UK will be asking why it took Whirlpool so long to inform them about these dangerous kettles, when a formal recall was announced in North America almost a week earlier. To check if your kettle is affected is to look at the label on its underside. You can contact Whirlpool to arrange a free return and replacement by going to repair.whirlpool.com or calling the customer care centre free on a UK landline on 00800 552 27777 or 00800 381 04026. Natalie and her family lost everything after a fire started by their washing machine burnt down their home. But how many more lives will be ruined before the government acts to #EndUnsafeProducts? In a report published today by the Business, Energy and Industrial Strategy select committee, MPs have warned of flaws in the product safety system and called on Whirlpool to take action on the one million fire-risk dryers still in people’s homes. 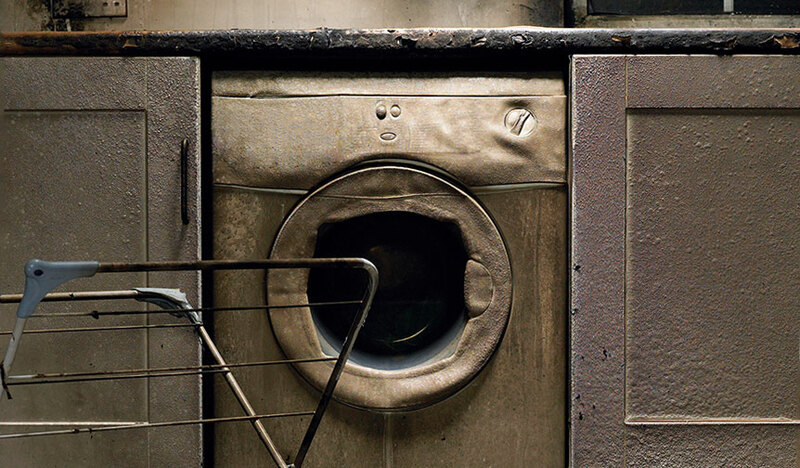 The select committee has condemned ‘Whirlpool’s inadequate response’ to the fire-risk dryer issue and highlighted that after more than two years since the issue first appeared in the news, there are still one million potentially dangerous dryers in the UK. The report also notes that the government has been ‘painfully slow’ to improve the product safety system. Faulds Wood Review on the UK’s system for the recall of unsafe products by the end of February 2018 at the latest. ‘Despite hundreds of reported fires and numerous reviews, the UK’s product safety system is still broken and potentially threatening the lives of millions of consumers. The committee has called for the Government to respond to its report by the end of February. Our Director of Advocacy and Public Affairs, Pete Moorey, gave evidence on the product safety system to the Business, Energy and Industrial Strategy (BEIS) Committee. Pete pressed the committee to launch an inquiry into product safety and also called for a new national body to take responsibility for ensuring manufacturers get dangerous products out of people’s homes quickly. All of the panellists who gave evidence to the select committee agreed with our call for a new national body, remarkably this also included Whirlpool and the Association of Manufacturers of Domestic Appliances. Following a recent review of cold appliance safety, we’ve written to manufacturers this week urging them to stop using these backings, as they could create a fire risk in people’s homes due to their potential to accelerate the spread of fire. We’re calling on manufacturers to do the right thing by taking immediate voluntary action to end production of these appliances. We’re also asking the industry to accelerate the introduction of tougher safety standards on cold appliances, so that the use of potentially flammable backing material is no longer allowed. Denbighshire coroners court has concluded that a Hotpoint tumble dryer was the most likely cause of a flat fire which sadly killed two men in Llanrwst in October 2014. A survivor of the flat fire, Gary Lloyd Jones, told the hearing that on the night of the fire he saw flames coming from the tumble dryer. The Assistant Coroner found that the fire was likely caused by an electrical fault inside the door of the dryer. The Assistant Coroner, David Lewis, also expressed concerns about the evidence gathered by Whirlpool, the owners of the Hotpoint brand, and dismissed one potential cause proposed by a Whirlpool expert as ‘fanciful’ and ‘unlikely’. Though we do not yet know the model number of the Hotpoint tumble dryer, we do know that it is one of the dryers affected by the safety notice issued earlier this year following our application for judicial review. ‘In the face of the tragic deaths of these two men, Whirlpool can no longer continue to ignore its responsibility for the safety of its customers and must now conduct a full product recall of the potentially lethal tumble dryers in people’s homes across the country. We are writing to the coroner to request that he produces a ‘Preventing Future Deaths’ report. This kind of report is produced following an inquest when there is a risk of future deaths happening in a similar way. We will also be contacting the Department for Business, Energy and Industrial Strategy to call for a full-product recall of the Hotpoint dryer at the centre of this tragedy. The government has been too slow to respond to serious incidents – and subsequent reviews – following product-related fires. We want to see urgent changes to the UK’s product safety regime, including the creation of a new national body designed to take control of dangerous situations as they arise and get products out of people’s homes quickly. Our report on the UK’s product safety system calls on the Government to urgently overhaul the UK’s broken product safety and recall system. In our view, and as highlighted in our new report, the UK’s fragmented product safety system simply isn’t fit for purpose and its over reliance on a local approach to a national problem poses grave risks to consumers. Whirlpool has now changed safety advice for its fire-risk dryers to tell customers to unplug and stop using the machines until they are repaired. ‘Following our long running campaign and our recent application for judicial review, Peterborough Trading Standards has finally taken enforcement action against Whirlpool for the ongoing tumble dryer safety issue. However, we now believe that a full recall is necessary. ‘Fundamentally, we now believe a full recall is necessary and the Government must urgently address the issues with the product safety system as it shouldn’t require the threat of judicial review to ensure that consumers are protected from dangerous products. We started the formal process to judicially review Peterborough Trading Standards’ handling of the Whirlpool tumble dryer safety issue. A Which? undercover investigation has revealed multiple failings by Whirlpool in dealing with customers affected by its safety alert. Following reports of millions of fire-risk dryers still in UK homes and some customers having to wait up to a year for their machine to be repaired, we made undercover calls to the Whirlpool call centre and surveyed more than 800 owners of affected dryers. A safety warning for a number of Whirlpool owned dryers was discovered. 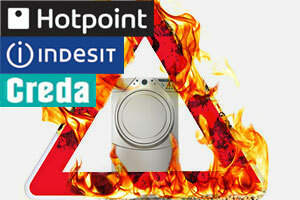 The fire risk affects certain large vented and condensing tumble dryers, which were sold under the brand names Hotpoint, Indesit and Creda in the UK and abroad between April 2004 and October 2015. The fault discovered could expose the dryers to a fire risk when excess fluff touches the heating element.